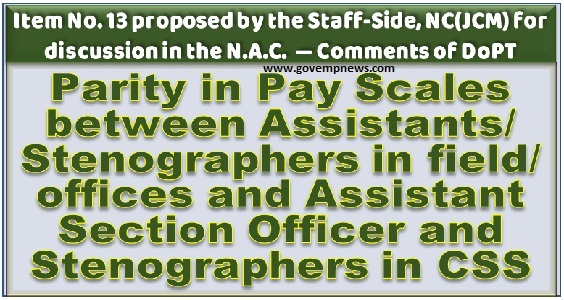 DoPT comment: Although the heading of this item is self- explanatory, the relevant text given in the paper sent is not complete as the pay-scales of Assistants and subordinate Stenos posted in field offices have not been mentioned therein. Until their pay-scales are known they cannot be compared to check whether there is indeed any anomaly. The Staff-Side is requested to provide more information that is relevant so that it can be properly examined to find out whether an anomaly arises here or not.